​Trish Houser is a certified canine massage practitioner and the first Dogsafe Canine First Aid Instructor in Alaska. She is also the founder of Smiling Dog, a holistic massage and nutrition consultation studio in Big Lake. With a soft spot for senior dogs, the heart of her business is promoting alternative pain management therapies and improving quality and longevity of life through diet, exercise, massage and homeopathic remedies. Trish is active in her community and enjoys teaching children how to properly care for their dogs. She also actively fund raises for The Roscoe Fund, a charity that provides economic assistance for pets in need of emergency medical treatment. ​Nan Arthur, CDBC, CPDT-KSA, KPACTP, TAGteach PC, brings twenty-two years of experience to her teaching of both dog professionals and pet dog owners. Nan is a Dogsafe Authorized Instructor, Karen Pryor Academy faculty member, a Certified Dog Behavior Consultant and holds the highest certification available by the Certification Council For Professional Dog Trainers. She is also the author of Chill Out Fido! How To Calm Your Dog. Through her business, Beacon of Hope Dogs, Nan provides dog training classes and private training and is pleased to now offer Dogsafe Canine First Aid courses. ​Anne-Frans Van Vliet was the first Dogsafe Authorized Instructor in California where she is also a Certified Dog Trainer (ABCDT) and founder of The Running Dog Ranch where she integrates exercise with behavior modification plus incorporating healing energy work and homeopathic remedies. In addition, Anne-Frans is an active member of the Association of Professional Dog Trainers, Women in the Pet Industry Network and In Defense of Animals and works with animal disaster and rescue groups nationally through the Humane Society of the USA and locally with the Marin Humane Society. Jennifer Gordon is the owner of Jake’s Canine Adventures, a dog walking and pet sitting business. She is excited to be the first Dogsafe Authorized Instructor for Maryland. Jenn will be leaving the legal industry after 30 years to do what she has a passion for – taking care of animals, working towards obtaining her CPDT and Veterinary Technician license and offering Dogsafe Canine First Aid classes to her clients and pet owners in her community. Jenn also volunteers for the SPCA of Anne Arundel County and Canine Humane Network. Her current pack includes Dan, Rosie, Chloe and Lucy. 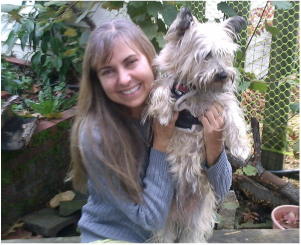 Karla Malcolm lives in the beautiful Willamette Valley and with the launch of Karla Malcolm's Canine First Aid, she's excited to be the first Dogsafe Authorized Instructor for Oregon. For Karla, it's a dream come true to be able to bring together her love of both people and dogs in such a worthwhile course. Karla has been involved with animals in a variety of way for the past twenty years and professionally working with people as a Mental Health Therapist for even longer. Her own "zoo" includes three dogs -- Fizz, French bulldog, Rosie, cairn terrier and Nui, bullterrier -- plus nine chickens, a rabbit, a bearded dragon and a school of fish! Helga Karisch, SAMT, LAMT, is the owner of Happy Hounds & Horses, LLC and is a board-certified and licensed massage therapist for Large and Small Animals with a special interest and training in rehabilitation techniques. Helga's work offers a gentle and focused touch tailored to the needs of your animal companion. Teaching Dogsafe Canine First Aid classes, together with her dog Mia, is another exciting opportunity to share her love and knowledge about animals.